Let the buyer beware (Caveat Emptor). Please note that Terrapin Racing or it's webmaster are not responsible for the accuracy or description of the items for sale below. Terrapin Racing or it's webmaster cannot be held responsible for any misrepresentation or liability occurring from any fact contained from withtin these advertisements. Any potential purchasers must satisfy themselves as to the accuracy of descriptions used. If in doubt – seek expert advice. The original ex- Chris Cramer sports racer, as featured in high speed low cost. 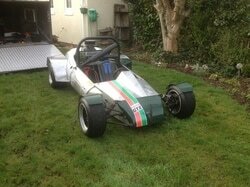 Full spec car all to historic hill climb regulations. Rebuilt 1293 A-series / 649 / BVH / 1.5 rockers / Ultralight flywheel / AP comp clutch / straight cut box & drops / twin-pin diff / 4.3cwp / weber IDA / Alfins / all new wilwood & AP hydraulics etc. Originality carefully preserved whilst undergoing full re-build. 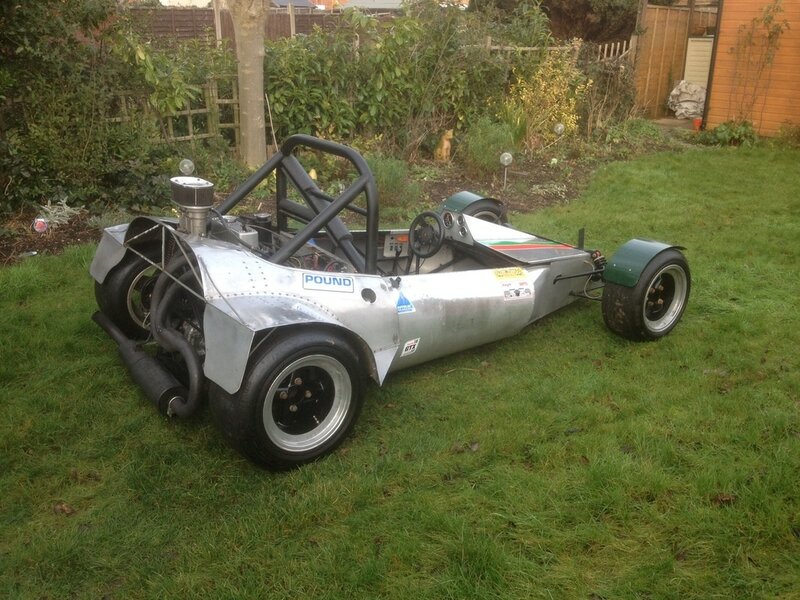 A perfect and cost effective way into the historic racing category, in a unique car with an interesting and successful competition history, holding numerous class records in period. Price . £ 10K Car in located in West Midlands, UK.